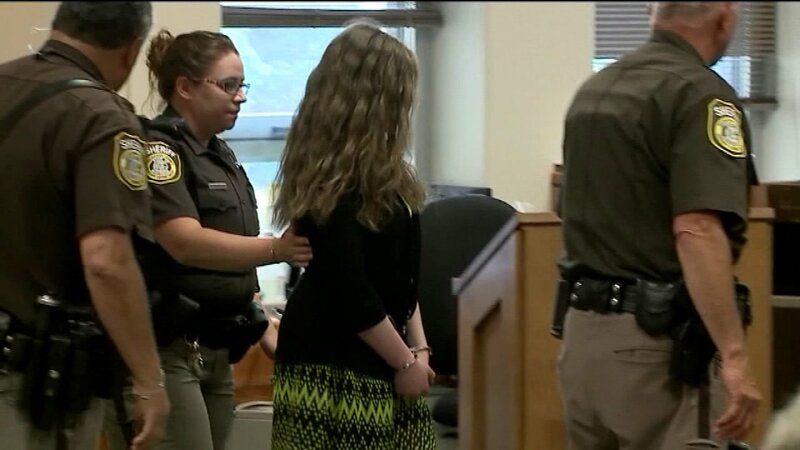 Milwaukee, Wis. -- One of two Wisconsin girls charged with repeatedly stabbing a classmate to impress the fictitious horror character Slender Man pleaded guilty Monday, but she still faces a trial in the case next month focused on her mental health. Weier spoke at length during the hearing, telling Waukesha County Circuit Judge Michael O. Bohren that she understood her plea and its ramifications. She also explained her motivation for participating in her classmate's stabbing. "I believed that if I didn't go through with it, Slender Man would come and attack and kill myself, my friends and my family. Those I cared about the most," she said. Weier told the judge she didn't want to harm Leutner. She said she told Geyser she couldn't stab her. "I told her that I couldn't do it," Weier said, adding that her co-defendant "asked me whether or not she should do it" when they were in the woods. "And I just wanted it to be over with so I said, 'Go do what you have to do,' and Peyton was then hurt," Weier said. "How was she hurt?" the judge asked. "Morgan (Geyser) jumped on top of her and stabbed her repeatedly," Weier said. Hours after Weier's plea, Geyser also was in court Monday for a status hearing that focused on scheduling issues before her Oct. 16 trial. She has pleaded not guilty by reason of mental disease to attempted homicide charges in adult court. Weier initially entered the same plea. The Wisconsin case is the subject of the HBO documentary, "Beware the Slenderman." The film examines how children can become easily drawn into beliefs spread through the Internet.